Wake to the sound of birdsong and the fresh country air. 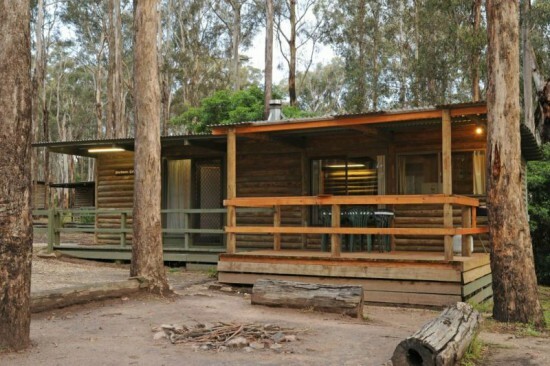 Set in natural bushland, you can soak up the blissful peace and quiet, whilst feeding the local King Parrots and overly friendly Rainbow Lorikeets. Enjoy the best of both worlds, tucked away in your own little forest just minutes away from the beach front, Esplanade and all the attractions Lakes Entrance has to offer. The fully self-contained Log Cabins are spacious and include bathroom, kitchen, lounge and dining, sleeping up to 6 adults - Making this the ideal destination for your next family get away or couples weekend.